Coach Louis 'Pete' Jones, 81, of Terre Haute, passed away on Oct. 18, 2018. What do you say to honor someone who is larger than life? Such limited space to encapsulate a personality so captivating, laugh so infectious, smile so genuine, and generosity so limitless. Pete began coaching in 1963, starting the Terre Haute Track Club. 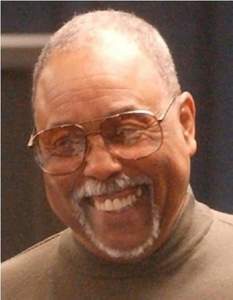 In the late 1970's he began coaching Track & Field at Terre Haute North High School. In 2004, upon coaching retirement, he was described as "the most successful girls high school Track & Field coach in recent history." It was no surprise to many that his "retirement" was short lived and he found his next home at Sullivan High School. Over time, his passion shifted from high school sports to middle school athletes. Honey Creek Middle School welcomed him with open arms. Even in his final days, he was talking about track. His love for this sport knew no boundaries. The impact he has had on the community and youth of Vigo County is everlasting and will not soon be forgotten. The community outreach he was so passionate about lead him to become the Operations Manager for Excel of Terre Haute Inc. Their goal was to generate dialogue to build a closer, more caring community. There is no way to count the lives he touched, spending the better part of his life encouraging and mentoring young athletes, being a voice in the community and always giving a helping hand to any in need. In return, his dedication to others resulted in many awards, honors, and events in his name. At every stage in life he showed rigorous determination and perseverance, even against all odds. Pete was born in 1937, in Terre Haute, to Odway and Susiana (Bumpus) Jones. Attending Garfield High School, he was a member of the 1954 football team which was recognized as the first undefeated and untied team in the school's history. In 1957, Pete married Ivonne Johnson and they have been inseparable for 61 years. They had two sons, Michael and Terry and one daughter, Pamela. Pete retired from Eli Lilly in 1993 after having worked there for 23 years. Pete was preceded in death by daughter, Pamela (Jones) Myer; his parents; three sisters; and his beloved Aunt Mable. He is survived by wife, Ivonne Jones; two sons, Michael, (Diana) and Terry (Cynthia); two granddaughters, Nichole (Jorge) and Lindsey; one grandson, Chase; two great-grandsons, Jace and Jordan Ross; two sisters, Carol Ann Jones and Carmen Anderson; numerous nieces, nephews and extended family members. Visitation services will be Tuesday, Oct. 23, 2018 from 4 to 8 p.m. at Terre Haute North High School in the auditorium. Private funeral services are arranged for a future date.